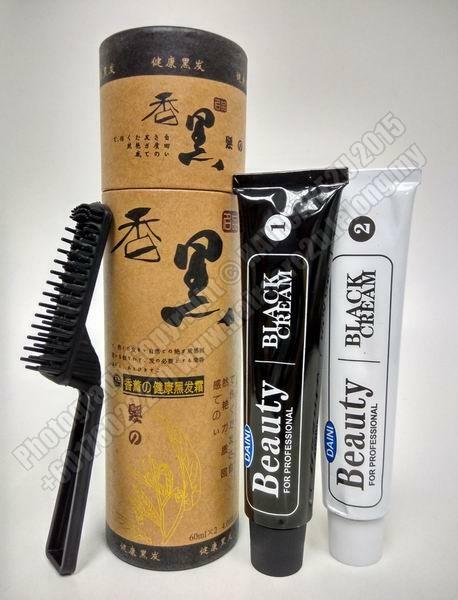 The Daini Natural Black Secret Hair Dye Color Black Cream is a hi-tech advanced product to repair the damage caused by chemical hair coloring. This great new product Formulated with the effective contents distillated from precious Chinese herbal contents, it is able to recover the hair's natural color that you are looking for also brightening the hair with No side effects. When washing your hair it can moisturize & repair hair that has been damaged with all types of chemicals. This making your new hair color natural and shinny within a simple easy one step application. See the Natural great results.